One year after the SAO incident, Kirito is approached by Seijiro Kikuoka from Japan's Ministry of Internal Affairs and Communications Department "VR Division" with a rather peculiar request. That was an investigation on the "Death Gun" incident that occurred in the gun and steel filled VRMMO called Gun Gale Online (GGO). 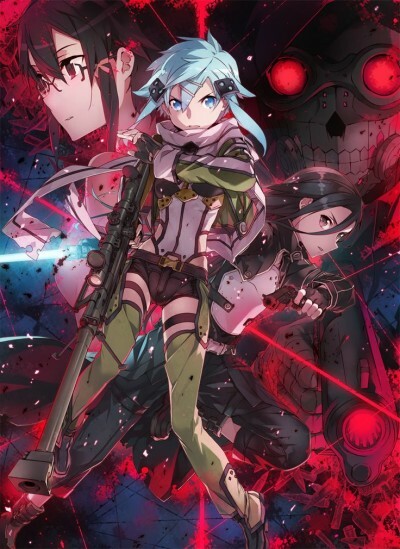 "Players who are shot by a mysterious avatar with a jet black gun lose their lives even in the real world..." Failing to turn down Kikuoka's bizarre request, Kirito logs in to GGO even though he is not completely convinced that the virtual world could physically affect the real world. Take the useful ones, throw away the garbage.